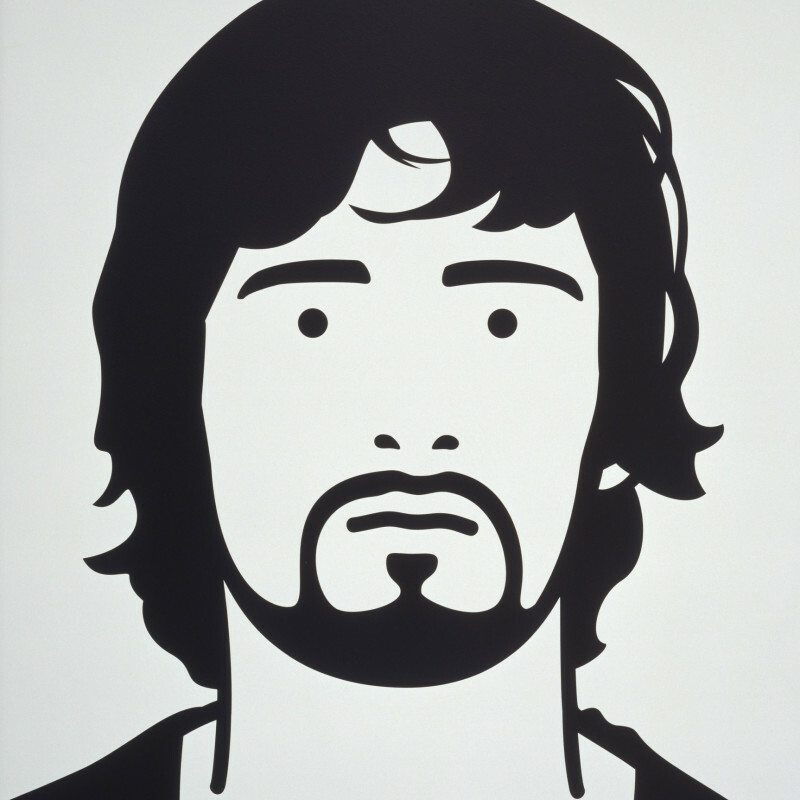 Born in 1958 in London Julian Opie, graduated from Goldsmiths School of Art, where he was taught by Michael Craig-Martin. 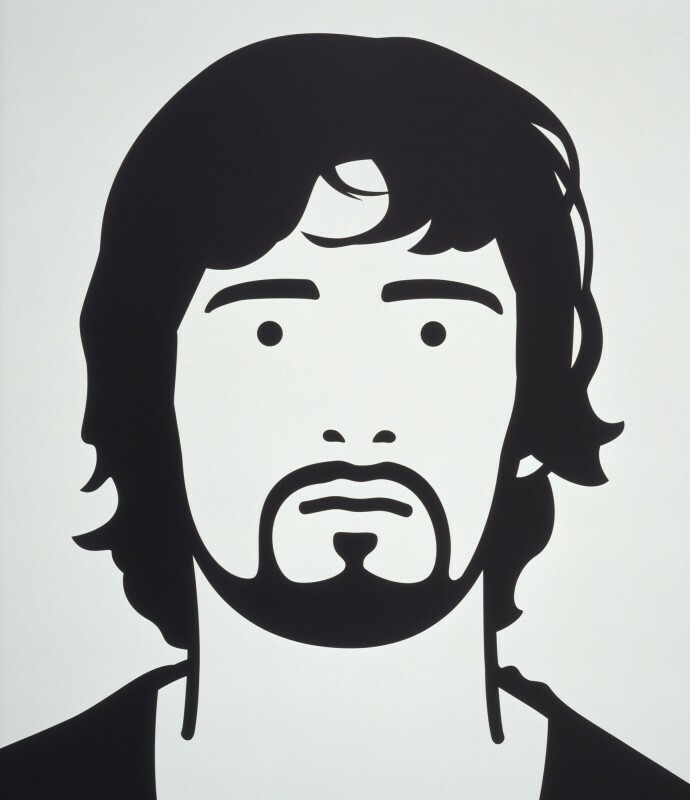 Julian Opie is a sculptor and digital artist associated with the New British Sculpture movement, and best known for portraits that reduce subjects to essential lines and color planes. Opie has created a stylized, fragmentary visual language that de-personalizes his subjects. One of the works Opie is known for was a commission for Blur where he produced four portraits for their cover of the album Blur: The Best of in 2000. Depicting Damon Albarn, Graham Coxon, Alex James and Dave Rowntree. The images were created digitally from photographs and convey the key information about their sitters with the minimum of detail, reducing the subjects to black outlines and block colours. Always exploring different techniques both cutting edge and ancient, Opie plays with ways of seeing through reinterpreting the vocabulary of everyday life; his reductive style evokes both a visual and spatial experience of the world around us. Drawing influence from classical portraiture, Egyptian hieroglyphs and Japanese woodblock prints, as well as public signage, information boards and traffic signs, Opie connects the clean visual language of modern life, with the fundamentals of art history. Opie’s works can be found in many public art collections, including Tate, British Museum, Victoria & Albert, British Council and National Portrait Gallery in London, The Israel Museum in Jerusalem Takamatsu City Museum of Art in Japan and more. Opie lives and works in London.